Today I am going to tell you some of the important features present on blogger and why I like blogger the most. 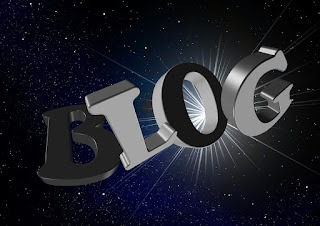 The simple reason is that blogger provides free hosting to any user who creates their account . They never asked you for the money . They just want a person to be a regular user. Blogger actually forms the basic .As we are knowing blogger ,lets go to its history. Who has created blogger ? Blogger was created by Pyra Labs which is brought by Google in the year 2003. Here the registration is totally free and comes with the subdomain blogspot.com . A user can make 100 blogs per account on a blogger platform. It is made in Python language. Till now millions of people across the globe is using this platform and it is in active status. Some people usually prefer to use Wordpress as compared to blogger . The main reason is that in Wordpress we get lots of Plugins to Customize everything in the templates whereas in Blogger we don't get such things like Plugins. In blogger , it is available in a very limited quantity. If you ask me which one is the best platform out of these two . I will recommend to use Blogger , If you are a newbie or I will say when you start getting payment from your blogs . But after a year of experience , you can switch to wordpress and can have your own space rent on the web. Its totally depend on you.